The fifth annual WinCo Foods Portland Open presented by Kraft Heinz concluded with 25 PGA Tour cards on the line. Players moved in and out of ‘The 25’ throughout the afternoon as the dramatic Web.com Tour regular season finale drew to a close. Sungjae Im entered the final round with a two-shot advantage over Derek Ernst who set the Witch Hollow course record during round one. After making the turn at one-under par, Im distanced himself with a birdie on the par-3 10th, followed by an eagle at the par-5 11th. A closing birdie added up to a final round 67 and a tournament record 18-under par. The victory bookends a season that saw Im become the second youngest winner in Web.com history at the Bahamas Great Exuma Classic, the first event of the regular season. Im made another piece of Web.com Tour history as he became the first player in Web.com Tour history to lead the Money List from wire-to-wire. While Im kept a comfortable lead throughout the afternoon, there was plenty of drama when it came to the chase for 25 PGA Tour cards. 31-year old John Chin surged to a final round 66 and a runner-up finish. With the strong showing, the UC Irvine grad moved from 41st to 10th on the Money List, securing his PGA Tour card for next season. Hank Lebioda entered the week 24th on the Money List and found himself nervously awaiting the final rankings after carding an even par 71. In the end, it was good enough to finish 25th on the list, just in front of Kevin Dougherty whose T-6 finish left him in the 26th position. A pair of players with Pacific Northwest ties have earned PGA Tour cards for the 2019 season thanks to their top 25 finish on the Web.com money standings. 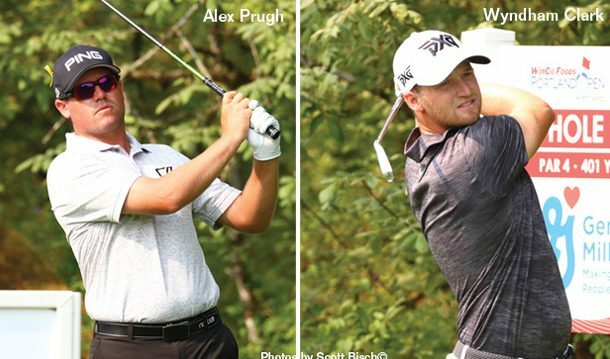 Alex Prugh of Spokane and a former University of Washington golfer and Wyndham Clark, who finished his college career at the University of Oregon both finished inside the top 25 on the Web.com money standings and earned playing privileges on the PGA Tour for 2019.